Honolulu, HU – May 27, 2016 – Lance Luke, the Principal Consultant at Construction Management Inspection, LLC, was recently a featured guest on The Brian Tracy Show. The Brian Tracy Show is filmed at the Hard Rock Hotel in San Diego, California and is hosted by best-selling author® Brian Tracy, one of the country’s leading business minds. This season features Luke discussing his expertise in an interview format with Brian. The episode featuring Lance Luke recently aired on NBC, CBS, ABC and FOX affiliates across the country. A video of Lance’s appearance on The Brian Tracy Show can be seen here. Mr. Luke has over thirty-five years of experience inspecting and managing construction projects ranging from high-rise and office buildings, to townhouse complexes and single-family homes. 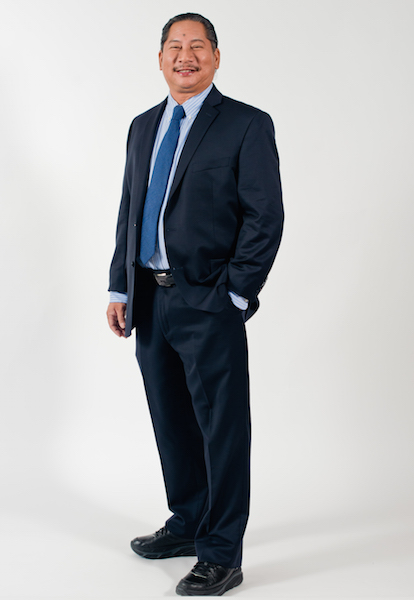 He is a professional problem-solver and also serves as an expert witness involving construction defects. His specialties are concrete repair, roofing, waterproofing, painting, asphalt roadway construction, electrical upgrades, plumbing retrofit and more. He follows a simple catch phrase: "On time, on budget and following plans and specs."